The Exit Interview Amplify on the issues raised in the Exit Interview video. At UCLA School of Law on January 27, 2014. Steinberg Luis Moreno-Ocampo, an Argentine lawyer, first earned international attention in his early thirties by prosecuting human rights abuses by senior Argentine military officials in the Trial of the Juntas, charging the former Juntas leaders with murder, kidnapping, and torture, and convicting most of them. In the Justice Cascade , Kathryn Sikkink has argued that this was the first and most important post-Nuremberg national human rights trial. As a prosecutor, he later garnered more national and international attention by trying senior Argentine army commanders for their actions in the Malvinas Falklands War, and by bringing dozens of public corruption cases against federal judges and national ministers in Argentina. In private practice, he famously represented victims in the extradition [1 min.] to Italy of a former Nazi officer. In 2003, Mr. Ocampo was elected unopposed as the first prosecutor of the International Criminal Court. There he built the Office of the Prosecutor and eventually opened eight investigations into situations in Africa leading to indictments against 36 people including Sudanese president Omar al-Bashir for genocide in Darfur; Libyan president Muammar Gaddafi for crimes against humanity; Joseph Kony and leaders of the Lord’s Resistance Army for crimes against humanity; several Congolese militia leaders for a range of mass atrocities there; and six Kenyan politicians, including one who has since become Kenya’s president, for perpetrating post-election mass violence in 2007. Mr. Ocampo has been a visiting professor at several of the world’s top faculties; in the United States he has been a visiting professor at Stanford Law School and Harvard Law School, and he is currently senior fellow at the [2 min.] Jackson Institute for Global Affairs at Yale. We’re delighted to have him here today. Welcome, Luis, to UCLA School of Law. Moreno-Ocampo Thank you very much. I think this Forum [ICCforum.com] is unique because you were following the reality of what the ICC was doing and inviting people with different ideas to discuss together in a serious way. Thank you for that. I appreciate it. Steinberg Thank you. I want to start by asking you some questions about the period just before becoming prosecutor. Can you tell us how you became prosecutor and whether it was an easy decision to accept the job or did you have reservations? 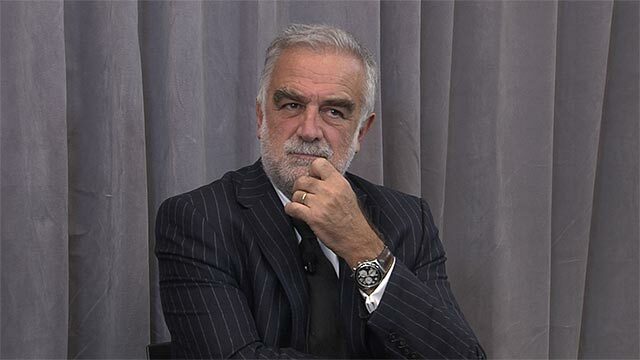 Moreno-Ocampo I was packing my car in Buenos Aires and they called me saying they put my name in a list of candidates to be ICC prosecutor. Now my name was at the top, but they had no idea if I wanted the job. We agreed to meet in New York because I was going to Harvard…I was very happy, going to Harvard, I was going to be a professor at Harvard Law School which was for me amazing. [3 min.] I was laughing when he called. They were trying to…when, in 1993, when they created the ICTY, Phil Hyman who was the deputy commissioner knew me. So U.S. proposed my name. But my government reject. My government refused because I was investigating corruption cases against men in government, then they were thinking I was an enemy. So I don’t care on that. I was thinking, “Okay, nothing will happen. I’m very happy going to Harvard.” But in the end, they appointed me. How are you going to say no? [Laughter] Impossible. Steinberg I thought it probably wasn’t too difficult a decision for you. Steinberg [4 min.] So that leads me to a question about the challenges you faced, which were many. Can you describe the first day when you arrive at the building, at the ICC, what did you think at that time were the biggest challenges you would face? Moreno-Ocampo In fact, the first day I did not go to the ICC’s office building because…my idea…what I learned in Argentina was that in order to apply the law, you need consensus around the law. So you have to build consensus. In particular, you are using the law against people in power. So in my country, the consensus was created because there were elections, people vote, support an idea to investigate the past, and Alfonsín was a candidate who won the election because of that. But then the congress also adopted laws allowing this process so that happened institutionally in Argentina and I was thinking, “Okay I need to try from the beginning, create consensus around me.” I failed completely on that. [5 min.] [Laughter] I tried. So my first two days were…we had a public hearings, where I invited States, NGOs, Professors, to discuss what I should do. The first two days, I was involved in this dialog. Moreno-Ocampo [Overlapping] The first two days were at the Peace Palace. Steinberg [6 min.] All right, so and then what did you do next? Moreno-Ocampo My first decision was…we had to manage expectations. We had nothing to do in Iraq. Aggression crime had not been defined yet. U.S. is not a State Party. Iraq is not a State Party. So nothing to do there. But…under criminal law. One of the problems I see is this institution has no academic field. There’s no academic field who’s really understanding how the institution works. And there’s plenty of tension with international law and international criminal court. The first day of my training…we’re planning…the [?] ambassador who made the call inviting me to be…we were discussing how to be the first day, after the appointment in April in New York, and we…he was discussing with me how will be…okay, what happened in the press conference? If we had a press conference? What would you do? The first question will be: “Are you going to Iraq?” And what you would say? [7 min.] It’s a great question because I was planning very clearly, I have no jurisdiction because there’s no State Party, Iraq, U.S., and then we see where I go. And he was…I was thinking that was a great answer. He was desperate. “Luis, in diplomatic terms, you cannot mention one country without agreement of the country. So if you just mention U.S., it would be disaster for the Court.” So he basically override the press conference and the following day, so no more news, and he did it in the same day that Blix [Hans Blix]—you remember the Swedish guy?—was briefing after a month the Security Council on Iraq nuclear weapons program…chemical weapons program, so basically, the only camera in my press conference was a camera hanging from the room because all the other cameras…that’s the way to do it. So that was the tension. When I started the tension was everyone was afraid. The judges were thinking the Court would be closed [8 min.] in two years. So they were urging me to do a case very soon. Steinberg But you had no staff? Steinberg So how long did it take you to build up a staff of investigators and prosecutors? Moreno-Ocampo Okay. I think we were 40 at the end of 2003, and we were 120 at the end of 2004. Steinberg So you developed the policy papers too. So one of the…one of your more famous quotes is that you shall not be involved in political considerations. But many people have actually criticized you for not being more political. Moreno-Ocampo The political people believe I’m not enough political. The lawyers, the legal scholars, believe I was too political. Steinberg But what did you mean when you said that…repeatedly…that you shall not let political considerations enter into your deliberations? Steinberg Well, we could talk about…we will…I do want to get to that question, whether you talk to the media too much. [11 min.] [Laughter] But I want to focus on the political ramifications issue because, by definition, when you arrest a head of state or you issue a warrant or you even investigate a head of state or a field general you are making a…it’s a political action. It’s going to have political consequences. Steinberg [Overlapping] Did you ever consider those political consequences in your decisions? Moreno-Ocampo Suppose I issued an indictment against…we issued an indictment against Haroun. And President Bashir was saying he would not hand over Haroun because he was following his instructions. Then we had suspicions, so we collect information, and I have a case against President Bashir. I knew in those days that…okay, this is my flag, I’m on the hill alone, surrounded by the enemy forces because no one would protect me. No State was…had [12 min.] appetite for that. And so, I was thinking if I, okay, if I present my case, I will be alone. And it will be complicated for the Court because the Court will be like in a hill in the middle of the enemy forces. But if I don’t present the case, in five years people will say, “Where was the Court? Bashir was committing a genocide and they did nothing.” So in both ways, there were political implications. And so I follow my job. I follow my duty. I do my work. Steinberg Okay, so let me just…I want to push on this. Steinberg So the syntax…the syntax of charging. Some people speculated that you would charge opposition militia leaders before charging government leaders because you couldn’t…you would never even be able to continue your investigation if you charged the government leaders first. Is there any truth to that? Did that ever…in syntax of charging—the timing of charging—did you consider the politics? Moreno-Ocampo [13 min.] Funny thing, because we were prosecutor’s office. So what we did, we had an office evaluating the crimes committed. The policy was to prosecute the most serious crimes. So in Uganda, by far, the most serious crimes committed in Uganda after July 2002 were crimes committed by Joseph Kony. By far. The allegations against Museveni himself were before my jurisdiction. I have no jurisdiction. So clearly. In Congo, it was a mess, because there were many militia killing each other, so we tried to define the most…the great…the most serious crimes. And then first Lubanga then the militia [?] who was fighting Lubanga. And in Darfur, were the forces…the government forces. The militias were, I would say, the militias in Darfur were using children, particularly after 2006. Not so big…comparatively, they are not…the crimes were off, obviously more…[14 min.] But then, when we found the Haskanita case, we prosecute the militias in Haskanita case. So we follow the evidence. We follow the evidence. We follow the most significant crimes. That’s it. That’s what we did. Moreno-Ocampo [Overlapping] No, let me answer your question. It’s a great question. Because I think that is the idea of the law. [15 min.] Because the law force me to focus on the most serious crimes. I assume that the writers [?] of the law would think, okay, we put this outside and then the gain would be more better. So that is for me the idea. So I just follow the rules. Steinberg But then, so this was clearly though in the back of your mind that it would have these consequences. Moreno-Ocampo But that’s because that’s the law. The law says that. Moreno-Ocampo [Overlapping] I’m sorry, but I did follow the law because the law say that. The Rome Statute Preamble say the goal of the Court is end impunity, to contribute to the prevention of future crimes. And that is normal. [16 min.] That is what the law is in California too. We apply the law to prevent crimes. That’s what we do. And for me, even if in Kenya maybe there are no trials against Kenyatta, not in the short term, probably, at least we helped to have a peaceful election in 2012, 2013. That was the biggest risk before. Everyone was afraid of elections in Kenya. Now, everyone’s afraid of how I used…destabilizing the president. I’m sorry, but that’s the reality. Steinberg So let me sort of take an almost converse situation which is that someone suggested that the threat of arrest by the ICC might actually deter a repressive leader from stepping down, signing a peace agreement, because they figure they have nothing to lose. They’re going to get arrested. Did you ever consider refraining from prosecuting, refraining from acting, in the interests of peace, or on a rationale that it’s in the interests of justice, actually, [17 min.] to support a peace effort and to not prosecute. Moreno-Ocampo That was the first discussion with William Bobbitt in the Joseph Kony case. In the Joseph Kony case, in particular the NGO hated Museveni so they don’t think it’s a good idea to just focus on Joseph Kony. And everyone was focused on the idea to solve the conflict through peace agreements. And then we developed…for one year, we discussed our policy and then we had a policy paper describing in detail why we believe peace is not for the Prosecutor. [see Background Materials] It’s a role for the Security Council, not for the Prosecutor. And then we say, the interests of justice that the Rome Statute say can be used to stop an investigation, is different than the interests of peace. So we do our job. And then the Security Council can decide to stop an investigation and I would be perfectly okay. Steinberg The Security Council has that authority, but the Security Council, as we all know, is very frequently deadlocked. [18 min.] If you found yourself in a situation where…or did you ever consider the possibility you’d find yourself in a situation—like you did find yourself in a situation—where the Security Council couldn’t act. Did any diplomat, NGO, scholar ever suggest to you, “Hey, don’t prosecute there. Refrain. Slow it down. It would be in the interests of peace.” Did you ever think about that? Moreno-Ocampo We decided not to do it. To ignore this type of thinking. First, we believe we have no mandate. The mandate is a justice mandate, not a political mandate. I believe we destroy the Court if we start embarking on this issue. And also it’s impossible to exercise. Example: we were planning to request a warrant against Haroun. In the morning…my office, one of my officers received a phone call in the morning saying—from a legal advisor of one embassy—saying “You don’t need to confirm it, but we know that you are planning to issue a warrant against a minister in Darfur. [19 min.] My country believes he’s too low. My country believes to go higher.” “Okay, thank you. Goodbye.” Same day, same legal advisor, same country, afternoon. The ambassador called back and said, “I’m so sorry. Because I sent a cable back to the capital. And they said, ‘No, it’s not time for a warrant. It’s time for peace negotiation. Tell them to stop.’” So in the afternoon, I should stop. In the morning, I had to go higher. Afternoon, I should stop. How do you do that? In fact, for me, something we are missing is, when you’re involved in these massive atrocities, it’s very difficult for you to change your style. Suppose…suppose Gaddafi. Gaddafi was 40 years in power. Gaddafi make a deal with the U.S. and U.K. that included giving them more oil, [20 min.] including torturing Al Qaeda people and then stay in power, doing awful things. Why? Of course for him, he was not in terror by the ICC threat, for he not believe the ICC threat. Although when Gaddafi was the chairman of the African Union, he was promote…he himself, personally, in the meeting at Sirte 2009 in the last half hour say, “Okay, I will put something else in the agenda. States from Africa should not cooperate with the ICC in the arrest of President Bashir or any other head of state. The floor is open. No, Nigeria, no. Uganda, you don’t need to talk, we know what you would say. Approve it.” Boom. So he knows…he knew how to play the interface…the interactions of international relations to stop these things. He saw no one was really making making an effort to arrest Bashir. I don’t think he was afraid of the ICC. He was just thinking that everyone had supported him in the past [21 min. ]…if I kill a few guys, a few hundred in the square, nothing will happen to me. So for him, it was a shock. He had no idea that would happen. So my point is…Michael Howard, do you know Michael Howard? Moreno-Ocampo Michael Howard? He make this beautiful book saying humanity for 5,000 years was using conflict to match conflict; for the last three centuries and a half, we see negotiations to stop conflict. From the last ten years, we added a new tool: justice. It’s new, but for me, it’s the only solution. The other mechanisms were not working. So for me, the idea: “Yes, you should make peace. And you should negotiate” including the idea they cannot stay in power. That was, for me, the rebels in Libya say, “Look, you were so great, but when you should have a warrant, all this nonsense negotiation with Gaddafi or Saif Gaddafi, stop it. Because if we were under Gaddafi, we will be destroyed.” Gaddafi was crushing people and abducting people during the conflict. [22 min.] If you allow him to remain in power, he’ll keep doing that. Steinberg So you had this diplomat, he comes in, he changes his mind. Did you frequently get a lot of political pressure? From the Assembly of States Parties, did they…did you ever feel that they were trying to constrain you or guide you maybe through budget or through threat to intensify oversight? Moreno-Ocampo That’s a good point. So, you have to understand, I learned how States work. No diplomat would come to me and say “You should”…excuse me, in fact some diplomats could say that. But normally, in normal diplomatic, normal country—not the biggest, but the normal countries would not come to you and say something so directly. What they will do is to manipulate you through budget, oversight, and personnel. That is the three areas. Little story. The minister of justice Canada came to my office with the legal advisor of the embassy, saying, “Oh, we like so much, we’re [?] support. What can I do for you?” [23 min.] And I say to her, “Look, when you’re back…going back to Ottawa, please cross the street, go to the Minister of Foreign Affairs, and explain to them the meaning of the law.” And the legal advisor, poker faced, say, “Very nice, Prosecutor. Next budget? Ten percent less.” [Laughter] They did not do it. Just was a joke…it was a great joke. [Laughter] But for instance, after I request the arrest warrant against President Bashir, five States start to lobby to impose an oversight mechanism to control my office. And it’s funny. No one care about them. So I was trying to convince ambassadors to do something. One of them told me, “Look, Luis, it’s not an issue for me. I have other problems. This is your business. I don’t care.” But then, that is the diplomatic way of the world. You align first five or six, and with this five or six, [24 min.] you create like a stampede. A critical mass of people move the other hundred. And to stop them, it was complicated. I did it, because even the NGOs were ignoring me. The NGOs are not following the legal aspect. They focus on…they like gender crimes, they like to prosecute this bad guy, or this bad guy. They don’t…no one focuses in institutional support. So, it was a mess. I had to…I remember, the State Parties at the Hague organize this meeting to discuss this project: the oversight mechanism. And they excluded the OTP and the Court. So, I went there and said, “Look. My people want to be here, to discuss with you and explain why it’s wrong.” “I’m sorry Prosecutor. This is for just States. We’ll invite you later.” So, I left the room, they discuss it. Then, it’s true. They invite me for the next meeting. And then my people went there and explained our position, [25 min.] why this was against the Rome Statute which say that the Prosecutor is the only authority on the Prosecutor’s office. [see Background Materials] My big question was: you have an oversight mechanism should inform the Prosecutor who has a right to say no. Because if it’s not, it’s easy for Bashir to make a treaty against my top prosecutors and try to remove them. So I had to protect them. And the statute say that, exactly. So first meeting, I was excluded. Second meeting, my people went there and the diplomats, who were at the meeting before, listened to them and say, “Okay, thank you. Who’s in favor of the Prosecutor? Ah, no one is in favor. I’m sorry. No one is supporting you.” So when they come back to me, and explain me that, okay, we’ll insist. Go again. It was in the next meeting, we went back because we were thinking they were not understanding what we were saying. We went back and then this time they say, “But we…you say the same the last meeting. You’re repeating your arguments. Goodbye.” [26 min.] So, they vote. So I make a big speech at the Assembly of States Parties [see Background Materials] saying it was effecting the law and I got some…I had to…I got some support. And then we stop it. And at the end, after two years, big fights, we stop that. But that’s the way which internationalism work. And my point is, because the lawyers working for States are thinking as the lawyers of a big company. They like to avoid conflict for the company or they like to avoid conflict for the State. It doesn’t have to be involving something. And they have to control. So that was their view. They don’t think about the crimes, or whatever. Steinberg So let me talk about another institution that you worked closely with: the Security Council. Do you think that the Security Council is allowing…is performing its role in a way that is allowing for justice to be realized to the extent it could be given [27 min.] its constitutional relationship with the ICC? Are you satisfied with the way the Security Council has been behaving in supporting the ICC? Steinberg…and it’s new on the scene. Steinberg Okay, so to what extent, just briefly, for each of those three countries, do you see them accepting the norms that the ICC stand for? Moreno-Ocampo Okay, the most interesting example is U.S. When I took office, I was very proud. Bush talking about me in the campaign debate against Kerry, and a counter prosecutor, and they were real hostile, but just in two years later in 2005 they accepted the Darfur referral—did not vote. So the Darfur referral…the day I took office, after I was sworn in, I was discussing with my international relations advisor how to get a Security Council referral. Because that could be the most interesting way to start a case. Everyone would be in agreement. And she say, “Luis, you have no idea. You have a nine years tenure. [30 min.] You will see no referrals from the Security Council. She was right. However, Darfur crisis produced, that after four months of discussions, eleven votes, four abstentions, the referral came. And interestingly when I request the warrant for Bashir, and I was thinking I would be alone in the hill, the cavalry arrived and it was Bush. Because it was the last six months of Bush, and Bush decided to take advantage, to show his commitment against genocide in Darfur, and he threat to veto any deferral of the ICC and then the tenth of December, 2008, Bush was talking about the importance that Bashir understand he would be accountable. Steinberg [Overlapping] What about Russia and what about China? Moreno-Ocampo [Overlapping] Wait, wait, Libya. In Libya was two days debate, fifteen votes. Okay? Russia, people…you are…[31 min.] Russia is supportive of international justice. Yes. Russia… [Laughter] Yes. He’s filming. After the film, I will say something. [Laughter] Okay, I will be politically incorrect. U.S. believe in the law inside the U.S. but you don’t believe in the law outside the U.S. The law is for Americans and not for the rest. The rest are foreigners. Russia believes in the law outside Russia. Inside Russia, not so much. [Laughter] So outside of Russia, Russia believe in the law. Moreno-Ocampo Let me go to Syria. Russia signed the Rome Treaty. Russia is a signatory of the Rome Treaty and they never withdrew, and Russia vote positively on Darfur and of course positively on Libya. The Western countries never presented an ICC referral to the Syria case. Russia’s position…Russia opposed two things. [32 min.] Russia defends sovereignty and Russia is against military arrangements. That is two points of Russia. So if you’d like to have an agreement with Russia, you have to understand their position. China is different. China does not believe in law. It’s different. No, China believe in dialog. And China was a colonial…had a colonial past. So China is deeply committed with the idea to protect sovereignty. However, Asian people really are trying to create consensus. When you read the Darfur referral, [see Background Materials] and you understand the vote of the China ambassador, it’s a veto. He’s against the referral. But because all the others are in agreement, he went too. And in the Libya case, even more interesting, China has two positions. The Five Principles that China and India issued many years ago [see Background Materials] and it includes the idea to protect sovereignty, [33 min.] but also China protect countries from the south. So in the middle of the debate…in the middle of the debate about the Libyan resolution referring the case to the ICC, China say, “Before we vote, we have to consult the African Union.” But South Africa say, “I’m sorry. We are the African Union. And we vote positively.” So China say, “Okay”—the last check. And China vote positive. Not because China believes in justice. China believes that when there’s a disaster in the country, something has to be done, and China likes to have consensus. So China went with the consensus. And it’s funny, because the Chinese ambassador was very proud, when he left this Security Council meeting and the journalists ask him, “Did you vote in favor?” He was so yeah, yes [gestures thumbs up]. So depends. The problem is in Libya—China, South Africa, and Russia believe that the U.S. and the western countries went far beyond what they authorized. And Obama start to say [34 min.] regime change. They hate regime change. That’s why, in some ways, Syria is a consequence of the Libya management. But you should not blame just Russia and China. You have to understand it’s a much more nuanced game. Steinberg…so let’s just move on to a few things. So, enforcement challenges. The inability to actually effectuate arrests yourself must have been a source of great frustration. What if anything do you think could be done to effectuate the arrest or surrender of ICC indictees [35 min.] more reliably, more quickly? You’re on record as suggesting the possibility of a sort of international rapid reaction force or standard operating procedures for NATO or other militaries so that they can effectuate arrests. Can you elaborate on those ideas? Moreno-Ocampo That was my Syria proposal. No, I’m talking differently now. I’m no more a prosecutor, so I’m more free now. On Syria, I’m more free. But first, you remember my colleague from Harvard told me you have no possibility to arrest people and, in fact, we arrest six. And we have people who come…Kenyatta came to the Court. I cross-examined Kenyatta in Court. Goudé came to the Court. Steinberg It was a surrender. Steinberg [Overlapping] When he was out of options, yeah. Moreno-Ocampo Yeah, okay, [36 min.] but it was amazing…come on, it was an amazing opportunity. It’s an amazing thing. So I think…I believe basically there will be more arrests the day the States really agree with the idea that those who commit crimes cannot be in power. Then Bashir will be arrested. I don’t think it’s about…because you cannot send the troops to arrest Bashir. Had to be a political…clear political decision. But then you need consistent position. Steinberg So you don’t think that actually arrest or surrender is a huge problem. Steinberg All right. So investigations. Some say that your investigations were incompetent. The Court acquitted Ngudjolo for lack of evidence. The Court criticized you in Lubanga and Gbagbo for doing an insufficient investigation, not having enough evidence prior to charging. Were your investigations incompetent? Moreno-Ocampo Okay. Good. [Laughter] We define two policies, three policies on investigations. [see Background Materials] One, making our job even more difficult, we, from the beginning, I say we should focus on those most responsible. Even the statutes say nothing about that. I’m very proud because a couple of years later, one of my lawyers told me, “Luis, I’m not sure if this guy is one of the most responsible.” I say, “It’s okay, we can prosecute him.” [40 min.] “No, no, but the law say we cannot prosecute…just the most responsible.” And I say, “No, not the law. It’s our policy.” “No, it’s the law.” So, I love it. Because he was thinking…now it’s in stone. Why I did that from the beginning? Because…This is in my policy paper from September 2003, I recommend to read. From the beginning I say that, because that was one of my experiences in Argentina. In Argentina, we start with the first trial against the top leaders—great. But then we have to investigate others. We had 1,600 names. How to select them? All of them are guilty. And in my first meeting with Ben Ferencz, who was the prosecutor at Nuremberg, was in 1987 at Cardozo Law School in New York. I remember. And I ask him, “Mr. Ferencz, how did you do in Nuremberg?” “Oh, we choose 22.” “Why 22?” And I was thinking that would be the [?] coming, oh the light coming from this old man. And he say, “Okay. We had 22 chairs in the courtroom…” [Laughter] [41 min.] “…so we selected 22.” And that was a great answer for me because, in fact, it’s completely discretionary. There’s no criterion to select…because all of them are guilty. I remember in my training I invite a lady from Cambodia who was a victim to talk. And she explained the case. She was in a camp and a guard came to her sister and say, “You ate bread…rice.” The sister say, “No, I did not.” The guard took a knife, opened the stomach, and showed, “You did it.” And the lady died. Of course the guy’s guilty. Is he most responsible? No. So I knew as soon as I moved my cases, I would find this problem all the time. So, from the beginning I say, just the most responsible. It makes our lives more difficult because it’s more difficult to investigate the crimes there, the top responsible is even more difficult. The second policy I adopted to in some way manage that was focus in the most serious crimes. [42 min.] So, from the beginning, I say I’ll be selective. I have a beautiful video in my office, we made a video making jokes and they were my team—I was so proud—they were making a joke, it was my investigators there and the leader was saying, “Okay, the ability is to stay focused, because if we are focused, we are focused. So remain focused, and focused, and focused.” So all I’m talking about is the focus idea. And I love that. Because, yes, Lubanga is a small case; I love it. It’s a focused case on the evidence we have and we move with that. That’s perfect. And the third main policy was security. Look, my office investigate, in seven situations, ongoing conflicts, zero witness wounded, zero witness killed, zero staff wounded. Okay, that is my biggest pride. Then I would suggest the biggest problem we had was explaining to the justices our environment. [43 min.] And we rely in witness evidence, which is normal in the common law system, not so much in the civil law countries. And I found in Ngudjolo and some of the problems in other cases were that the judges listened to the prosecutor’s witness and then you listen to the defense witness who say the opposite. And that’s normal, but for the civil law judges it’s strange. And then they say, “Oh, we cannot rely on these people; we need a different type of evidence.” But, it’s funny. Every one criticized my case in Lubanga. Everyone. Even the judges were…I love that, because it’s a real court. The judges and prosecutors are fighting. But we won all the judges. All the judges. Steinberg So what about plea bargaining? Did you talk or consider plea bargaining so that you could get lower level people to provide you with evidence…more evidence against those most responsible? Steinberg That you can or can’t? Steinberg So you viewed that as plea bargaining effectively? Moreno-Ocampo No. It’s a way to get evidence against the top guy. Moreno-Ocampo [Overlapping] It would be great to have a…it would be great. But it’s not in the civil law tradition. It would be very bad for a civil law country because they don’t believe in that. Moreno-Ocampo Look, my…a prosecutor is working for a community. My community was 2.3 billion people. Plus the victims on the ground. So how to reach them? And the most important…the reason I talk is because I need the will…we have no police. So when I send my investigators to the ground or to any country, they need to trust us. So I had to build this idea. “You can trust us because what we are trying to do is this.” That was the main reason why I talked. I never talked about the evidence or I never talked about why this person…I don’t try to make judgements in the media. But I like to show we are committed, this is our case, we are pushing for this case, because we need to have people who trust and come to us. Then, after that, when we issue a warrant, [46 min.] we need to convince States to be active. And that was the other argument to talk. And that is perceived in some countries…in the U.K., as I said before, is prohibited to talk. And so it is perceived very badly in some countries. In Sweden…in Denmark, there’s almost no crime. So the prosecutor not talking about crimes. So they perceive this is wrong. “Why is he talking because he’s normally…he should not talk.” The prosecutor say…he’s like a public servant not talking. So it’s complicated because there are different perceptions in the world. Steinberg Okay, all right. I want to just talk briefly about a few situations. First, I want to start with a more global question of Africa. There has been much criticism by the African Union in particular that your office opened investigations in Africa only. None in Asia, none in Latin America, none in Europe; not anywhere but Africa. And that you’re biased against Africa. [47 min.] Was there a bias in your office against Africa? Why did you focus on Africa? Was it a mistake to not find cases elsewhere? Moreno-Ocampo That’s for me the question. Is it a mistake…is it wrong to have case in Africa? Steinberg ‘Africa only’ is the question. Moreno-Ocampo Is it a mistake to have just cases in Africa? Moreno-Ocampo I’m testing a new way to answer this question. [Laughter] Because what happened is the journalists…it’s funny. When this discussion of bias—African bias—started with the Bashir case. And at the beginning, I was thinking it was stupid because it’s about genocide. It’s not an African bias. But three or four years later, the journalists are not talking one word about genocide in Darfur and they’re talking about African bias. So Bashir won the battle. And when I explain, “Okay, the law is simple. I have two conditions. I need massive atrocities and no justice effort.” [48 min.] Yes, in Colombia, there are massive atrocities but there are justice efforts, I should not do it. So basically my cases are in Africa because I should be in Africa. Seventy percent of the Security Council activities are in Africa. Africa as a consequence is our biggest problem. One of the…so you have other countries in other areas like Nepal, Zimbabwe [? ], if I had Palestine but it’s not in my jurisdiction, so in my jurisdiction, Africa is the place. Of course, if you had a California prosecutor with just black people in jail, that’s complicated. But my cases are in Africa…it’s the right thing to do. Because basically when Rwanda happened, the world ignore the black victims. Moreno-Ocampo [Overlapping] When the victims are black and Africans and the killers are black and Africans, your choice is: you protect the victims or your protect the killers. For me, it’s a clear choice. Steinberg So it’s a rational application of the Rome Statute and of your standards for evaluating the gravity of crimes, right? Steinberg [49 min.] So could it be then that the crimes themselves, some people have argued, that it is the crimes themselves in the Rome Statute which are themselves biased—lead to this bias. That it is essentially…the critique is, of course, that it is this sort of neo-colonial selection of crimes. Corruption isn’t one of the crimes, right? Organized crime isn’t one of the crimes. If it were, we’d be pursuing people in Europe. What do you…how do you react to that critique? Steinberg So you mentioned Al-bashir and the charge of genocide. Many have argued that he should not have been charged with genocide, include Human Rights Watch. Steinberg That crimes against humanity is the more appropriate charge. How did you decide to charge genocide? Moreno-Ocampo Because the evidence show that they target the Fur, Maba [? ], and Zaghawa. They were attacking these villages, and a hundred meters were a different village from a different group. They did not attack it. So there was a complete target attack because…and the Minister of Defense say that…the Minister of Defense say as soon as there’s one rebel in the village, the village became a target. Because they assume if the village is a Fur, the Fur are protecting these rebel militia and then all of them became enemies. So for this reason, they basically target that. [51 min.] And you can see on the pattern…Akmed Haroun was explaining…when Akmed Haroun took office, we went to the Fur area, and he had a meeting with the top Fur leaders. And they were…in those days, they had no idea what was happening, and was telling, “We’re happy that you came here, you have to protect that.” And Haroun, very honestly, say to them, “You don’t understand. You’re my enemy. I will destroy you.” So, in particular, in the Bashir case, here was a top commander giving instructions, it was obvious that the instructions were to destroy his people. Not just when they were in the village, then when he was attacking them in the camps. Because in the camps, Bashir was destroying them through different weapons: starvation and rapes. And he put Haroun in charge of it. So it’s obvious. It’s funny that groups are talking about that without knowing the evidence. I think…when I charge genocide, first I think, “Okay, is this genocide? I should not ignore it.” [52 min.] But also we provide more energy to the effort we have to do to stop Bashir. But at the end it was counterproductive because the States decided to do nothing and the Genocide Convention applied to them and they should do something, they prefer not to talk about genocide. It’s a genocide. I got my charges in court. I win the case. It’s done. Steinberg All right, so you mentioned earlier, you said your proudest accomplishment was zero casualties. What do you think is your most important case? What was the most important case that you prosecuted? Moreno-Ocampo Each case was important, but I believe in terms to building the…because my job was to build the institution. That was my job. There were the policies was started at the beginning and we tried to follow the protocols. And then, in terms of building institution, the Gaddafi case showed in this consensus of the world with the ICC is showing the evolution. We moved from hostilities to full consensus. Who, of course, which the consensus disappeared—that’s normal. [53 min.] But the court is there. And now, in 2012 [sic], there are twelve resolutions of the Security Council talking about the ICC. ICC became normal. And that for me was our success—transform this project into a real global institution with impact and dealing with problems. Steinberg Any regrets? What would you have done differently? Moreno-Ocampo My biggest regret is in Mbarushimana case, because I was always…my policy was to be very conservative with the law—just be in the middle. And Mbarushimana, I love the case, because it was like indicting Goebbels, no? Mbarushimana was the publicity guy, the public relations guy. And it’s easy to put Goebbels with Hitler, and then it’s an easy case. I just put Goebbels alone—put Mbarushimana alone. And the judges didn’t move because they didn’t have very conservative. So…and it’s very bad because losing this case, [54 min.] we were losing the trust of Rwanda. Because Rwanda was helping us to do the case. And then we lost the case. That was really bad. Steinberg Okay. So I want to ask one question looking forward and that is about the crime of aggression. Do you think that this is a good development for the Court or not? And what do you think would happen if there were a defense that there was a responsibility to protect and there were others calling for charges based on crime of aggression? Moreno-Ocampo [?] When I was the Prosecutor I say this is not my business. Now, I cannot say that, no? The world’s not ready for aggression crime because the biggest country with bigger armies of course they want to do it without problems so I don’t think the world is ready for implement. It’s coming, it’s coming. But it will take a few decades. That’s the point. I think when you see Jenny Martinez’s book about [55 min.] the court that helped to stop the slave trade, you saw…you understand you need like 80 years to accomplish. And that, for me, is also the ICC. You have to measure this…it’s a long term project. Aggression will be probably in 40 years, not now. Steinberg So we have about…a little more than five minutes for questions. More questions out there? Steinberg He wants provocative ones. Moreno-Ocampo Yeah, but we have to film them. Moreno-Ocampo We were investigating Lubanga…okay, this was one of the first investigations, Lubanga, and the beginning was trying to show…to investigate Lubanga and the militia of the Ngudjolo and the others fighting because we like to present both at the same time. So we could not do it well. We tried to show Lubanga in the formation of different places and the time was passing and I was not getting there. And Lubanga in those days was arrested by the Congolese authorities without trial allegedly saying…[57 min.] saying that he was involved in the killing of some peacekeepers in Congo. And we knew it was wrong, he had nothing to do with that. So he should be released in March 2006. So in October 2005, I said, “Guys, we’ve got no more time. We need to reissue that warrant before Lubanga releases because in those days, for me to have one prisoner was my main goal. I had to cross the river and have one prisoner. And then I…”Where are we with the killings?” Not enough evidence. “Where are we with the rapes?” Not enough evidence. “So what do we’ve got?” Child soldiers. “Okay, we move with child soldiers.” We left open the possibility to expand the charges to killings in March. But, at the end, we never did it. So, and I love it at the end. I love it to highlight the child soldiers case. So for me…I always say, look, Al Capone was convicted for tax evasion. [58 min.] You are not writing history in court. We’re doing cases. Moreno-Ocampo Yes, the question is about prioritization in the prosecution, in particular taking in mind the Colombia case. It’s funny…where are you from? Colombia? Yes. Because this is just a question from a civil law country. No one in the U.S. understand this question. What is prioritization? That was normally…any prosecutor in the U.S. would do that. Even I remember asking prosecutor, “What is your policy.” “There is no policy. It’s my discretion.” In a civil law country, you have the rule that you have to pursue all the crimes. So the idea to have priorities is wrong. That’s another problem for the ICC. I remember the discussion in my office when we were defining the planning with my civil law lawyers discussing this. “How are we going to do that?” So we developed process that respect both ideas. But of course the only way to prosecute massive atrocities is to making priorities. The priorities could be 22 chairs at Nuremberg [59 min.] or it could be the most responsible or the most dangerous or whatever but yes, using priorities. Question Do you feel that the United States not being a signatory party to the Rome Statute has delegitimized the ICC? Moreno-Ocampo I remember a discussion at Spaetzle [?] University in 2005 or six. And this discussion was presented and then one of the persons there say, “Look, Prosecutor. Be careful and try to avoid that Bush sign the treaty. Because if Bush sign, who will believe you are impartial and independent.” I don’t know. It’s a double-edged sword, because it’s a double-edge issue. Because it was difficult at the beginning because the U.S. was very tough and then the U.N. people were, in effect, worried about connection with us, so I had a lot of problem for security of my people in Congo, for instance, because the U.N. would not accepting our people inside the barrack of the U.N. because of U.S. position. [60 min.] On the other side, because of this perception of double standards from the U.S. in the South, in some way, at the beginning people were thinking we’re independent. Now, with this African bias, they were attacking us from that side. That’s my answer. Question This may be a bit of an impolitic question but what do you think that Madame Bensouda could be doing a better job at right now in her role as Prosecutor? Keeping things polite and collegial, I guess. Moreno-Ocampo She’s great. She’s doing perfect. The Exit Interview: Amplify on the issues raised in the Exit Interview video. If you could ask the Former Prosecutor a question, what would it be? The absence of the Great Powers—US, China, Russia, and India—threatens the goal of universal criminal justice. Can the Court remain a legitimate and viable tribunal without the Great Powers? Do you think that the Court should invest resources to get the Great Powers to ratify the Rome Statute? Do you think that the adoption of the Crime of Aggression effectively precludes any of the Great Powers from joining the Court? To what extent do you believe the Court's commitment to legal complementarity hinders its efficacy as an institution in bringing international criminals to justice? You mentioned in your interview that one of your roles as the first Prosecutor was institution-building. How would you describe the role of the Prosecutor now? Can the Prosecutor’s actions and relations with the public strengthen the perception of the Court, the legitimacy of investigations, and victim restitution? What do you think is the biggest challenge facing the ICC today? What can the various organs of the Court and other interested parties do to address it? Is the legitimacy of the Court threatened by the low incidence of arrests or are there larger concerns that threaten legitimacy? I have been unable to find any substantive or fulfilling statements from the OTP that explain why situations have not been opened in Afghanistan and Mexico. Do you believe that a situation should be opened in either country? To what extent has the OTP discussed the situation in Mexico? How has the United States' involvement in Afghanistan influenced your decision about opening a situation there? Would you agree that the ICC is an example of the diversification of the international criminal judicial function ? It seems indeed that the ICC has various functions : repressive, retributive, restorative, preventive, conciliatory, legislative, integrative. Additionally, it is involved in giant issues like : contributing to maintaining peace and security (UNSC referrals), strengthening the international legal order's juridicity, legally promoting international values and helping the international jurisdictional systematization. If you do so, how did you, as the Prosecutor, manage establishing a hierarchy among those ? To what extent the use of the Proprio Motu power by the Prosecutor could enhance the legitimacy of the ICC on an international level? Could the Israel/Palestinian conflict be considered a situation where crimes against humanity are being committed? My questions have to do with the rights of the "perhaps to be accused someday in the future after NSA compilation of wiretapps" in the US. Specifically, persons under surveillance that have not been or who are unlikely to be charged with a crime. I ask this question because this is my personal experience, but also because I am sure that most people in the US will someday be like myself. People like me are US Citizens, go to Church or other religious meetings, pay taxes, follow the law, very seldom even speed in their cars. I, myself am a senior citizen. These persons, like myself, are loyal to our country, hate terrorism, want to help humanity. People like me might have helped the CIA or the US government in the past as some kind of expert. I write about my personal situation only to make readers understand the context of the question. Under international treaty, does the US Government and FBI/NSA have a right to force, through perceptual and classified torture and manipulation, a US Citizen to labor without being paid? These persons are forced to do so at great risk and sacrifice of their health and life. They are forced to do so to cover the identity of an undercover active FBI or CIA agent. Are they allowed to be forced to be a decoy in dangerous undercover operations to acquire information on their fellow citizens or even terrorist groups in the US? The US government uses its citizens in this way. Also, can the US Government prevent these individuals from taking asylum due to US national security laws? Is this legal under international treaty?